RCP Vision was founded in February 2009 on the initiative of two information technology professionals who decide to pool their expertise, gained in large-scale projects, to give life to a company specialized in new development methodologies on platforms, so-called, Rich Client. The company works on all the technologies that revolve around the Enterprise Java world, with particular attention to issues that affect the user interface. In particularÂ RCP Vision’s area of â€‹â€‹specialization, since its foundation, is the development of applications with rich interfaces, that achieve a very high degree of interactivity and the best user experience. 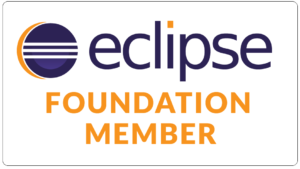 Among the technologies that we use, all open source, stand out those related to the community of the Eclipse Foundation, of which we boast the Membership from the beginning of 2010. In addition to divulgation activities with tutorials and events, RCP Vision actively contributes to the community as Italian mirror of Eclipse. A thorough knowledge of the platform and the participation in international events, allow the company to present itself as the ideal partner for all those that wish to approach the vast world of frameworks that make up the Eclipse ecosystem. We are also specialized in technologies related to Google, with the development on Google Web Toolkit platform, integration with Google App Engine, GIS systems and development on Android mobile platform. TDD (Test Driven Development), with tools for automatic testing of the interfaces and Continuous Integration. RCP Vision therefore offers to its customers consulting, training and development on high-tech and innovation, to develop highly interactive applications. The solutions we provide, all based on open source technologies, and the expertise we offer, meet the need to create intuitive and powerful user interfaces. How can we enrich the development of your software? By analyzing development processes and introducing high performance technologies, we can advise development systems tested in the field, highly productive and with a minimum initial impedance for developers.